Are you attending VMworld 2017 in Las Vegas, NV? If so, I invite you to add Bromium to your MUST SEE list of vendors. With so many vendors exhibiting at VMworld, how do you know which booths to visit and who to get on your busy schedule? 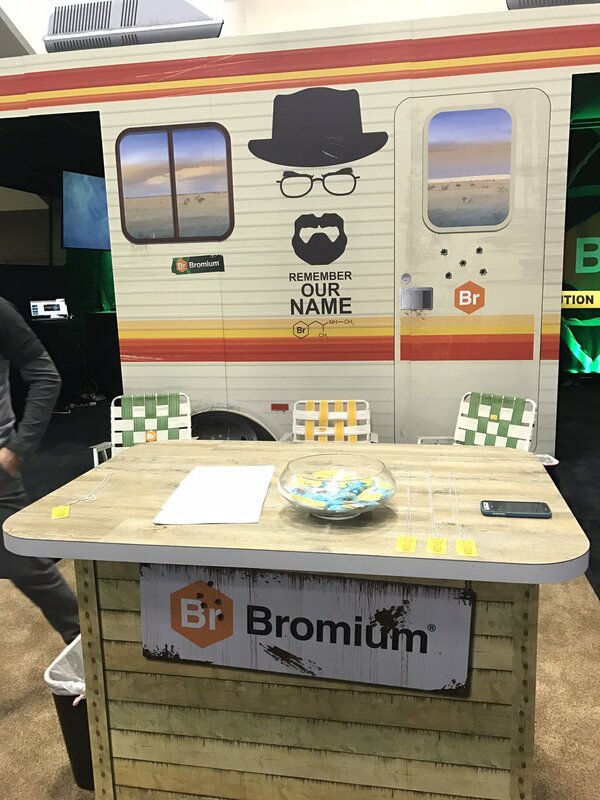 One of the companies on VMblog's list this year is Bromium. The company's founders, Ian Pratt and Simon Crosby have a long and deep history of innovation in virtualization and security. Inspired by the isolation principles of traditional virtualization, Bromium created a game-changing technology called micro-virtualization which protects end users against advanced malware. Read this exclusive pre-show interview with Bromium to learn what they have planned for the upcoming VMworld 2017 event. VMblog: As a VMworld 2017 sponsor, how can people find you at the show? Bromium: We will be in booth 131 in an oddly shaped booth that will feature delightful people and regular formal presentations and demos. We encourage participants to ask hard questions and make us laugh. We excel at irreverence (have you met Simon Crosby?!). We invite people to try and break our micro-VM with our Bring Your Own Malware Challenge. We'll have giveaways and an exclusive breakfast with The Godfathers of Virtualization and you can learn more about it here. Bromium: Bromium fires-up micro-VMs every time a user does anything risky like opening documents that are untrusted or browsing the Internet. It runs the activity in a container and stops malware from breaking out of it. It also provides real-time threat information so the SOC team can understand what's happening and the extent of the risk. No one else does what we do. Gartner calls it application isolation and control. You need to see a demo. Bromium: For years, virtualization has proven its worth in enterprise computing - increasing productivity, saving money, allowing people to work smart - now you should see what it's doing for cybersecurity. If you're wanting to stay professionally competitive, you owe it to yourself to see what Ian Pratt and Simon Crosby have built with Bromium. It will make any virtualization pro feel proud because it works - like a beast. Bromium: Folks reading VMblog are part of the exclusive crowd invited to attend a breakfast with The Godfathers of Virtualization - Ian Pratt and Simon Crosby who created XenSource. We're hosting it on Weds, 8:30am at the top of the Mandalay Bay Resort Foundation Room. This is a great event for anyone who's interested talking about the future of virtualization and who want a candid conversation with two men who know the field very well. VMblog: Is this your first VMworld event as a sponsor? Bromium: Believe it or not, we haven't been at VMworld in a long time. We went to market early and learned some tough lessons about being "market ready". We've listened to our customers, tuned up the product and now have a mainstream solution that's delivering prevention - not just detection - and our customers are delighted. So here we come! Back to our roots. We know the folks at VMworld will understand the power of our solution and the value to business. We're excited to see folks' reaction to our solution and talk to them about how these micro-VMs are letting people get back to work (and not be paranoid about where they click and what they download). Bromium: We love when Yiddish becomes mainstream. Of course we'll have tchotchkes. At the booth, we'll have free headphones for folks who listen to our booth "theater" presentation. We'll also have shirts with our Break Bad theme - which is our way of saying, "Remember our name". And meth! We'll have the best jelly bean pretend meth you've ever tasted (this is an inside joke and to understand, you'll have to swing by the booth). For anyone interested, we have our free beta which will be shipping early next year. For that one, you don't even have to attend the show. Bromium: Our threat expert, Adrian Taylor, will be in the Solutions Exchange on Weds at 11:20am talking about why virtualization is the right tool to solve the cybersecurity problem. This will resonate with virtualization professionals because they already understand the underlying value of the tech. Now they can be a hero in their company because they can solve one of the most challenging problems organizations face today - protecting IP and customer data from breaches. This is a problem that has Board of Directors-level visibility because, as we've learned, one ransomware attack can take down an organization.